How could you possibly top the accolades of our legendary HoneyBaked Ham? Easy, pair it with one of our juicy, all white meat glazed Turkey Breast. 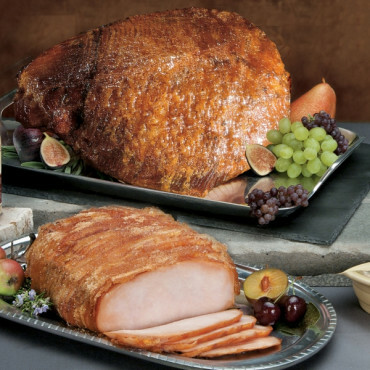 Meant to serve the largest of gatherings this duo includes our thirteen-pound HoneyBaked Ham® plus the tender & juicy HoneyBaked Oven-Roasted Turkey Breast. Both are tender, succulent, and topped with our crackling sweet glaze. You will be able to please everyone at the table, and a rather large table at that!